Golden Gate Sign Company is the Walnut Creek sign company to turn to with your every signage design and fabrication need. We are equipped to design and manufacture a variety of interior and exterior signage types - including, but not limited to, monument signs, vehicle graphics, banners, channel letter signs, interior signs, flagpoles, campaign signs and pylon signs. Our Graphics and Design teams will meet with you and design a to-scale model of your signage based on your specifications, our Fabrication team will then manufacture your design in our expansive Oakland facility, and our Installation experts will regularly service your signage to make sure that it stays both functional and attractive. Our emphasis on customizable service has made us one of the West's top signage companies - and if you're looking for signs in Walnut Creek, you can't do better than Golden Gate Sign Company. Please read on to learn more about our sign company and our services. The variety of our services sets us apart from other local sign companies. Our Process: Our staff performs design, fabrication and installation services for Walnut Creek signs. Sign Types: We have the trained personnel and top-quality equipment to ensure that we can manufacture all sign types. Commercial Signs: Golden Gate Sign Company creates signs for Walnut Creek clients in a variety of industries. Services: We don't just make signs in Walnut Creek - we perform a variety or related services, from graphic design to parking lot lighting. 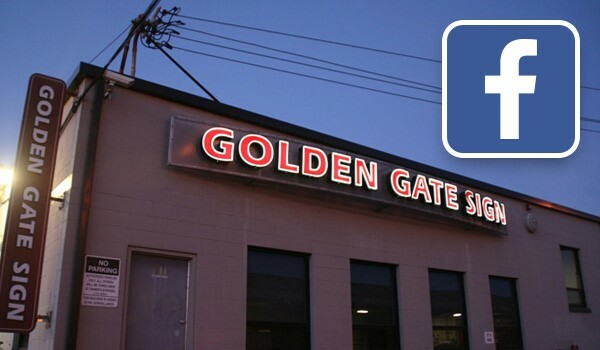 Trust Golden Gate Sign Company, the Walnut Creek signs experts with over 40 years of experience. To learn more, fill out our no-obligation quote form to receive your FREE estimate or call us today.